Mother Nature was kind to Clinton Indiana on Saturday May 4 2002 for their annual IMAC Pattern Contest. 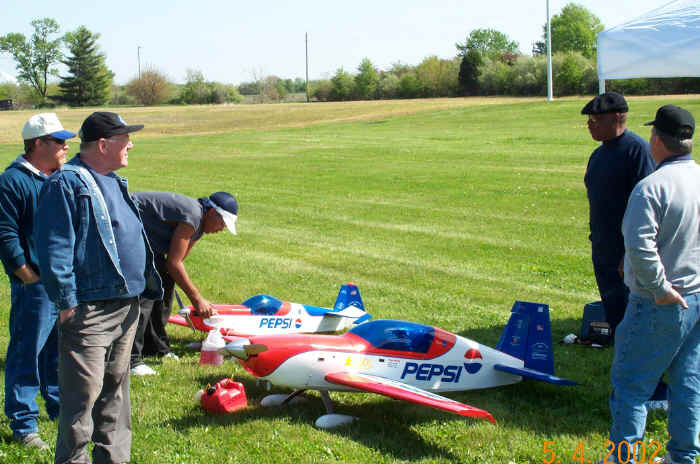 This contest is a two day event but I was only able to make it on Saturday to take some pictures and watch some of the flights. 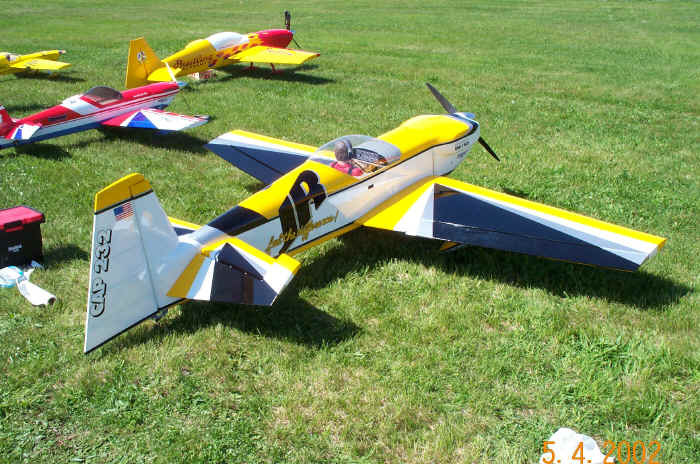 This contest is the first IMAC meet in this area that I know of and is a good starting point in the season to sort out some of the bugs in the new planes or blow the dust off of the old bird. 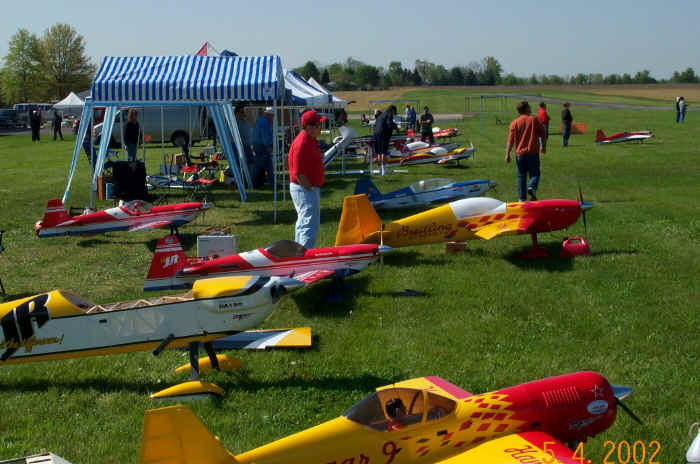 The meet is held at a full size airport with a large paved runway and plenty of room. 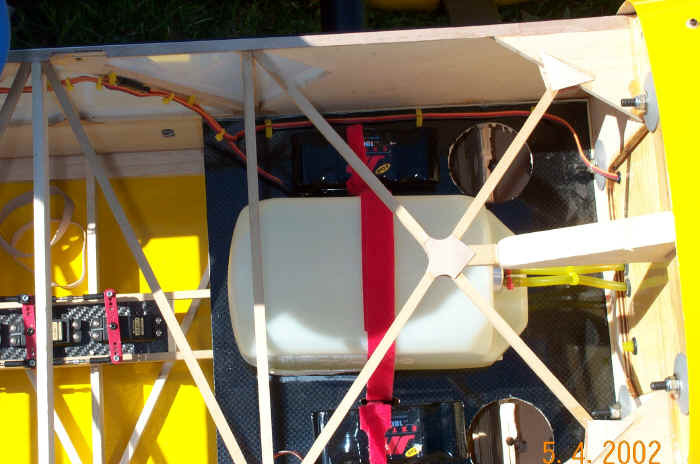 This was the first year for sound testing and it was carried before the first flight in the first round only. Most of the planes that I saw being tested were in the 93 to 95 db range over grass. I am sure that there will be more manufacturers coming on board with tuned pipes or tuned mufflers that will lower the db and still not rob the engine of power. There were some of these large canister mufflers on display at Toledo this year. 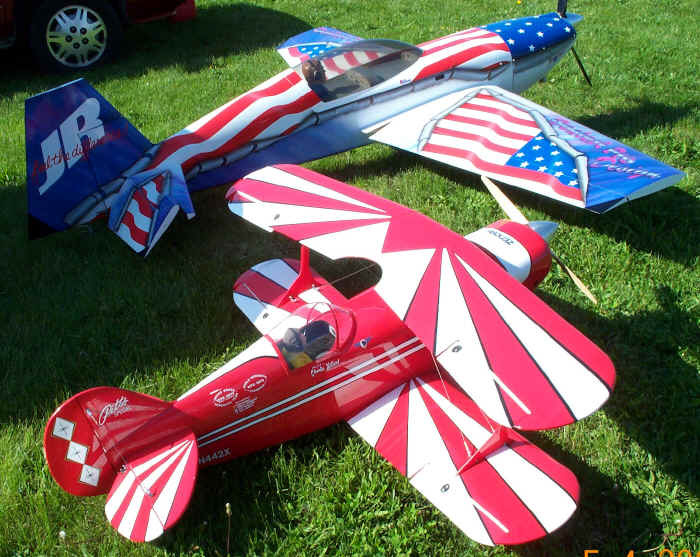 Team JR was there with their fleet of planes. 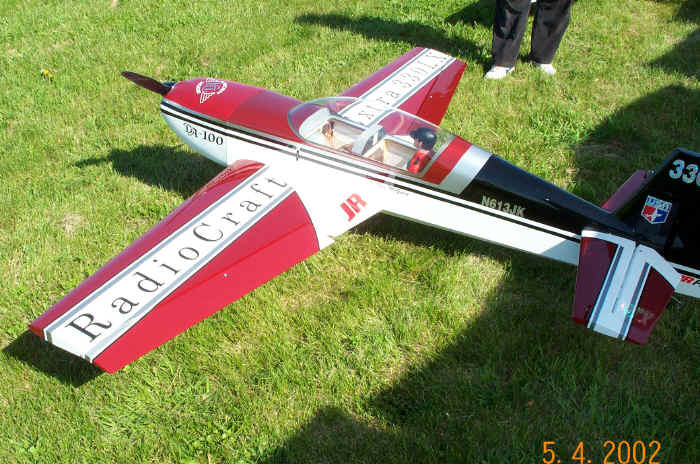 Some were flying the new Hangar 9 1/3 scale CAP 232 which seemed to be a great flying ARF. 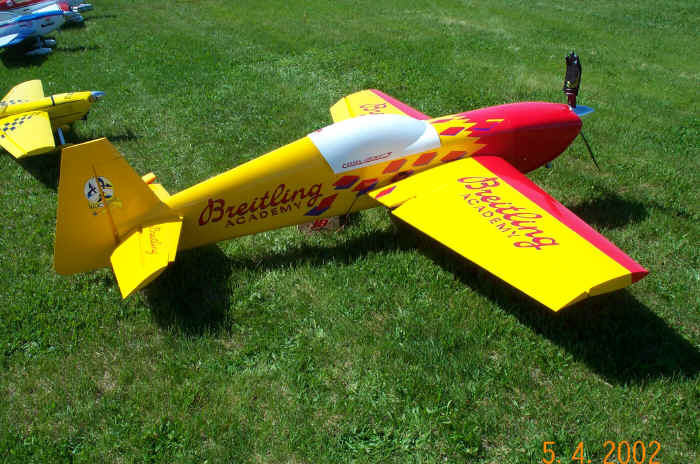 Mika Woodward from the Plainfield Screaming Eagles Club was flying one of these with a ZDZ 80 single cylinder. 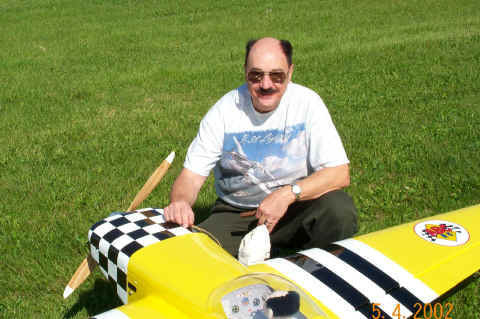 Mike McConville was flying what appeared to be a scratch built Cap 232 powered by a DA 150. It seemed similar to Peter Goldsmiths CAP of last year. 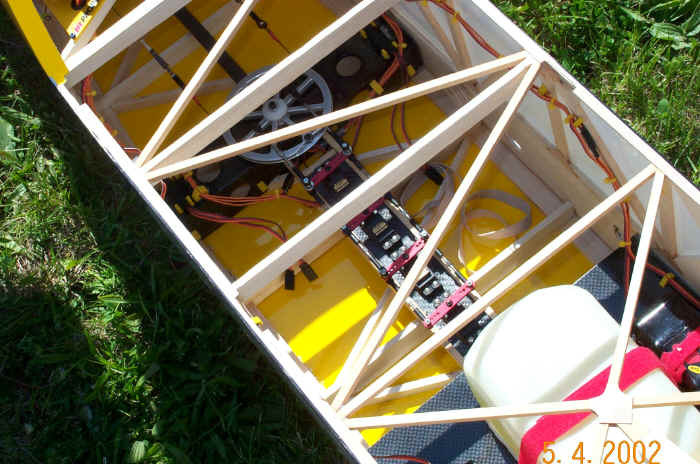 The airplane fuselage was a box stick construction and topped off with a balsa foam turtledeck. Very simple straight forward construction. 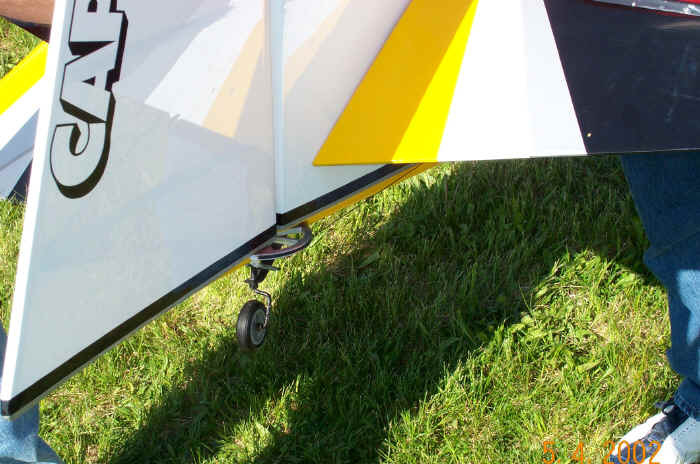 Can you have too much rudder on these designs? 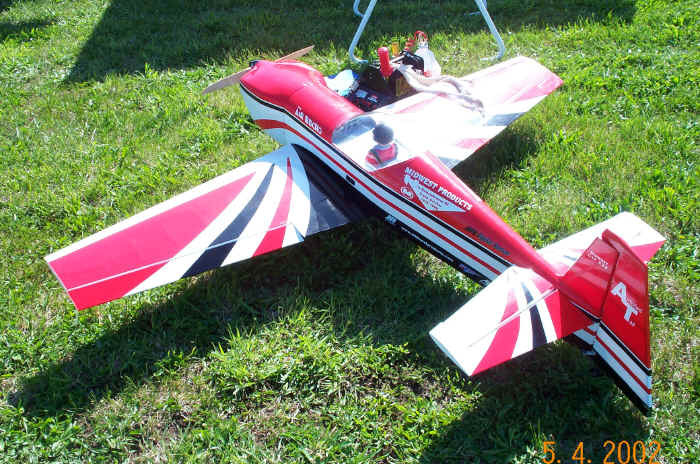 I had to leave before I was able to see it fly so I cannot comment on it's performance but from the looks of the control surfaces and throws... should 3D great. 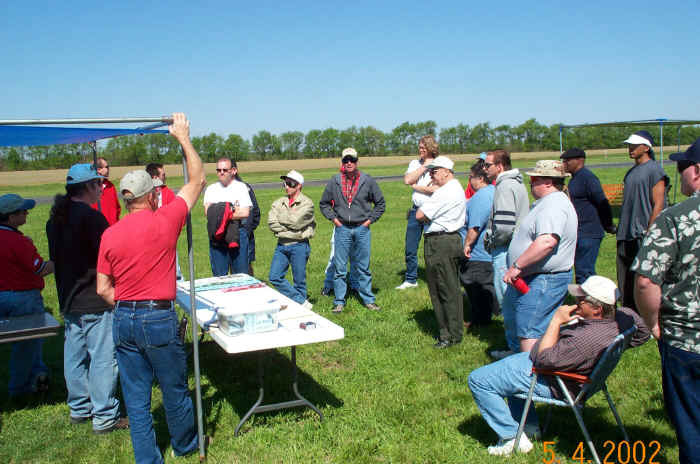 The Screaming Eagles Club had a good turnout of members flying. 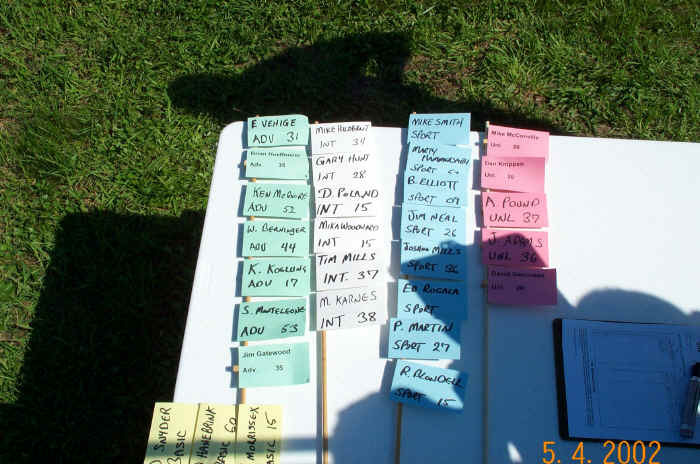 They were Mike Karnes, Josh Mills, Tim Mills, Dave Poland and Mika Woodward. And a local from Bloomington IN Brian Elliott. Total number of contestants were around thirty. Below are some of the pictures taken at this years Clinton IMAC Meet. The thumbnails will open in a new window so you can close the window after viewing. 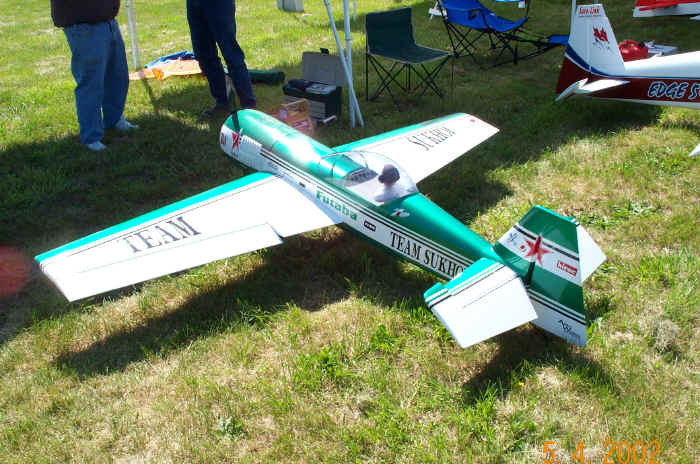 The plane that was of interest to me was the large CAP 232 of Mike McConville. 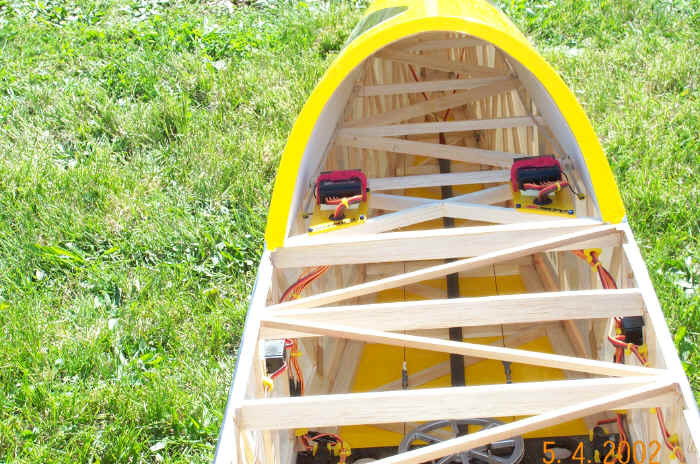 Large, light and stick built. 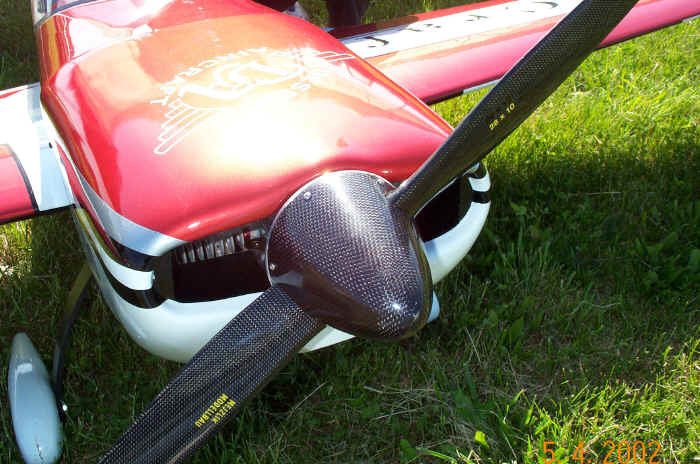 The airplane had a good mix of carbon fiber and wood as is evident from the pictures below. 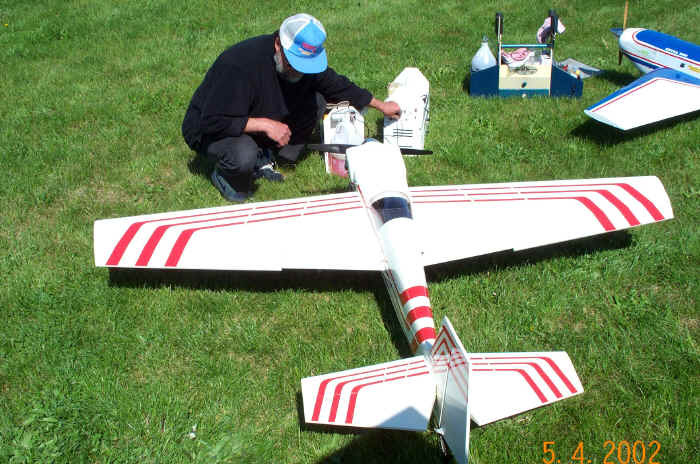 Mikes CAP fuselage reminds me of a SIG Kadet fuse with a foam turtledeck. 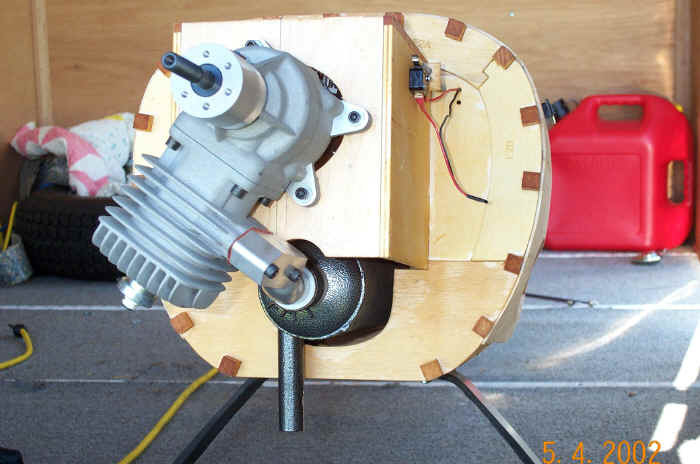 He uses either 1/64 or 1/32 ply for overlapping gussets at the critical stick joints. 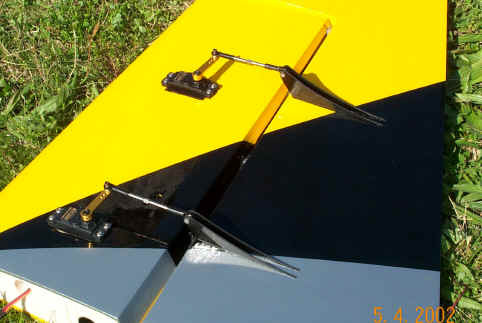 He also had the rudder hooked up with pull pull cables that worked off of wheels at the servo and rudder instead of horn arms for constant tension on the cables. By using this method you also are pulling off of the outermost point from pivot at all times to gain leverage. As I am writing this it is Sunday morning and the weather is better than yesterday so I am sure there will be a good turnout today also for the unknown sequences and freestyle.